So this is Halloween! Although it's not a traditional celebration in my country, it's been spreading all over in the last years, above all among kids. I'm sharing with you some interesting Halloween deals, with very nice prices! Severed Garden has put out 2 costumes for Halloween: Morgana, a cute witch outfit including a scripted cauldron as a backpack, and Wednesday, obviously inspired from the Addams family character. They are priced 90L till November the 2nd, then Morgana will go back to its original price. 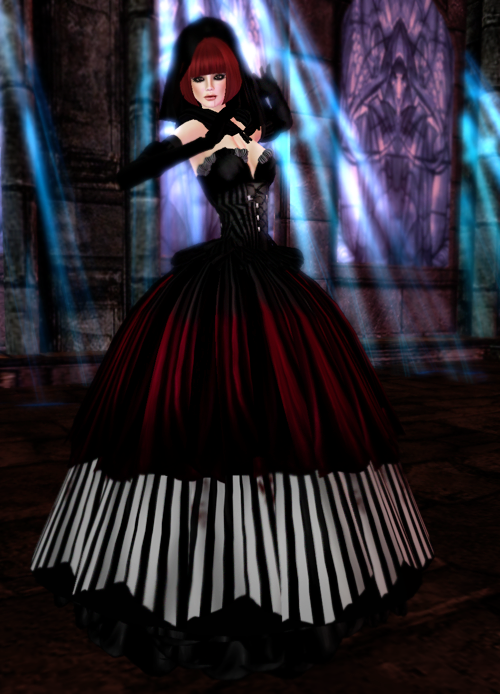 Evie's Closet is spoiling us with Fable, an amazing gown in the Halloween edition. It comes with long and short skirt and can be worn as lingerie too. 50L. The skin is from Glam Affair @ The Dressing Room, which means great quality for low price.